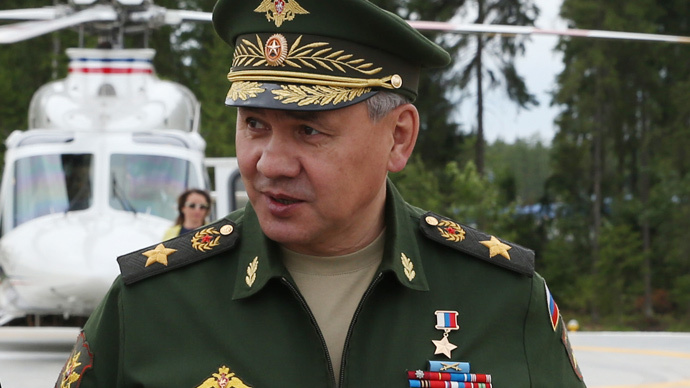 Russian Defense Minister Sergey Shoigu has told reporters that the military will sponsor a major research of coups conducted through mass protest – so called ‘color revolutions’ – to prevent the situations that Russia faced in 1991 and 1993. “Some people say that the military should not be involved in political processes, some say the direct opposite. We will order a study on the phenomenon of color revolutions and the military’s role in their prevention,” Shoigu told the participants of the Army-2015 political forum Friday. In the same month, the Interior Ministry drafted a bill containing amendments to the law on rallies that covered car protests and sit-ins. The ministry experts said that the move would circumvent legal ambiguity in the interest of society as a whole. In November, Putin blasted color revolutions as a main tool used by destructive forces in the geopolitical struggle. “In the modern world, extremism is used as a geopolitical tool for redistribution of spheres of interest. We can see the tragic consequences of the wave of the so-called color revolutions, the shock experienced by people in the countries that went through the irresponsible experiments of hidden, or sometimes brute and direct interference with their lives,” the Russian leader said. In January, a group of Russian conservative activists, uniting war veterans, nationalist bikers and pro-Christian politicians launched an “anti-Maidan” political movement in Moscow to oppose any attempts to thwart the stable development of the country. Its first rallies were held on the same days as some anti-government protests and according to law enforcers the conservatives outnumbered the pro-revolution activists by almost 10-fold.